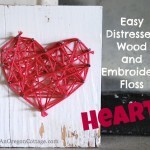 Valentines day is fast approaching, and I’ve rounded up some of the cutest Valentine’s Day Crafts out there for kids to try their hand at (with some adult supervision and help!) 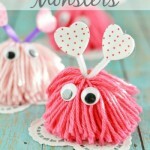 Even if you feel like you are not the craftiest mom, (trust me I have had more than my fair share of “fails” along the way) I promise they will love spending the time with you creating these adorable Valentine’s Day crafts together. 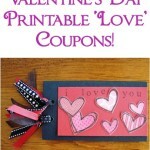 Here are 24 Valentine’s Day Crafts you can do with your kids. *each of the links has been tested to make sure they work so if you find a glitchy one let me know! Well there you have it, friends! 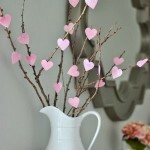 Over 24 Amazing Valentine’s Day Crafts that could keep you busy for DAYS! We’re busy coming up with some new and fresh ideas this year – stay tuned for some more great and EASY ideas! With so many to chose from it’s hard not to do all of them! 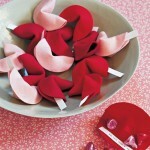 Which Valentine’s Day Craft was your favourite? 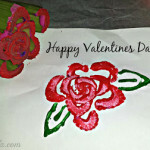 Make sure to check out this post if you are looking for homemade Valentine’s for your kids to make & give to their friends. *each of the above links have been triple-tested to make sure they work so if you find a glitchy one let me know! These are all great. I love how simple most of them seem. 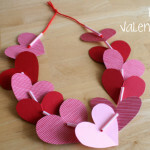 What an amazing collection of Valentine crafts! 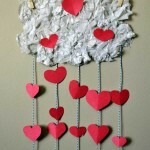 I love the raining hearts and the puppets! The felt fortune cookies are adorable! I’m sure my kids would love those! I am trying to figure out what we can do next week for our Valentine’s Day party at homeschool co-op, some of these look like real contenders! 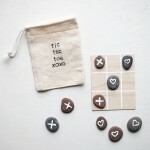 There are so many cute and easy ideas for Valentine’s Day. 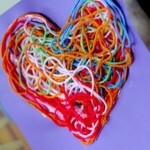 I love doing crafts with our little – and she loves doing them for friends. We’re going to do the felt fortune cookies for my sons class party next week! It’s always such fun doing crafts with him, especially holiday crafts! Thank you for sharing, it will help us with ideas for next year as well! Thank you for all of the great ideas! My kids LOVE doing crafts so they would be in heaven if we tried some of these. I especially love the fortune cookies! My ten year old love arts and crafts and these are great ideas. Thank you for sharing all these. 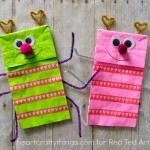 what a great round up of fun craft ideas to do with the kids! 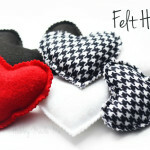 I love the little felt hearts as my daughter just learned to sew so she’d love this one! 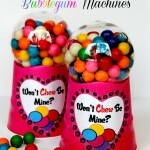 I’ d like to make a buble gum machine with the kids. That really would be fun! 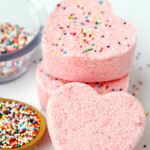 I want to make all of these with my kids! 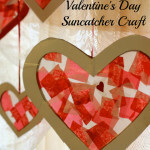 My girls love anything crafty and Valentine’s Day is a fun holiday for them. 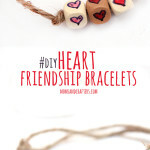 I love that you are getting the children involved, Those heart necklaces look beautiful or equally you can make heart crowns! What a great roundup. 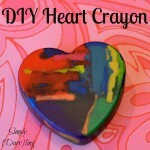 I think my kids would love the crayon craft. We have always wanted to try melting crayons like that. Wow lots of great things to do with the kids. I will be sure to try a few with my grandson…he will love making these. You have a lot of great ideas here. I would love to try some of these with my kids this weekend. 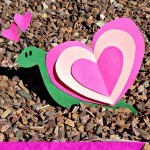 I love the heart snail…too cute! All of these would be so fun to make with little kids. 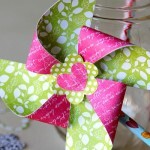 This is such a cute list of craft ideas to do with the kids! 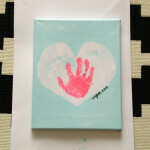 I think we’ll be trying the celery hearts this year…my kids are totally into paint right now! Those are super cute, aren’t they? I want to try that one, too! 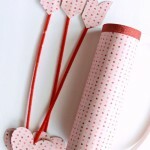 Oh wow Valentine’s craft galore! 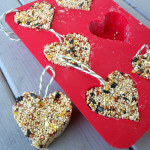 I so need to make some of thee with my kids, we have done no Valentine’s crafts yet this year. Nice link up and perfect for the class party I have to plan! 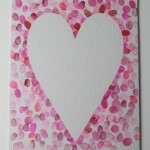 Great valentines craft round up. 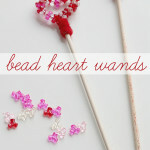 I really like the bead wands – thanks for sharing. My children have gotten some of these cute ideas at their v-day school parties. I have no idea what I am going to make this year.